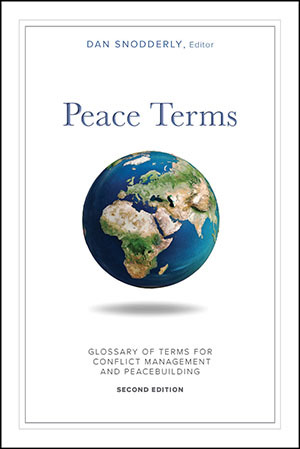 Peace Terms is a USIP publication edited by Dan Snodderly. The 1st edition is available online here. The 2nd edition was just published, but you need to order it from USIP. Though you need to purchase it, I still think it’s a good investment for faculty and students of peacebuilding.